"Oatmeal muffins with carrots, apples, raisins and nuts. 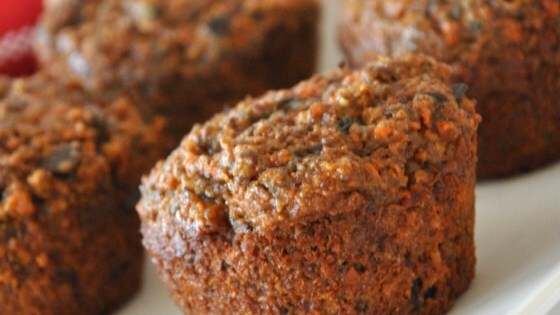 These muffins are low in fat, have lots of fiber and are even delicious." Great recipe! I've been trying to get more flax seeds into my diet. Nice tasting healthy muffin.